Updated 1/21/2017 Not much known about these attractive marigold vases. They are 9 to 9 1/2 inches tall and have been found in South America. Some are also signed Coty, leading to the speculation they were made for that company by a glass maker in Brazil. 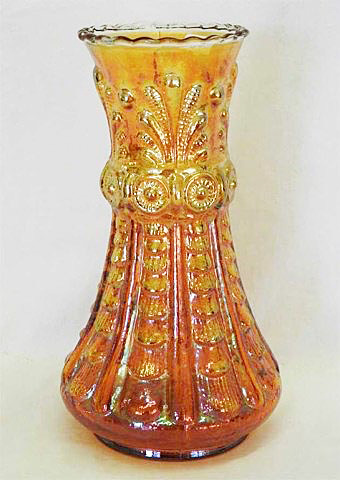 Three of these vases sold in 2016 for $70, $85, and $130.